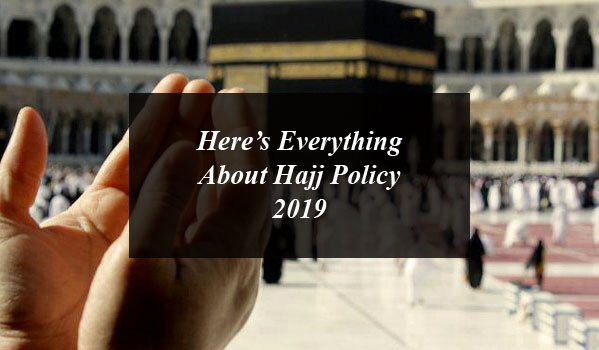 Here’s Everything About Hajj Policy 2019. The federal government of Pakistan has announced the Hajj Policy 2019 today. The policy was announced by the federal cabinet in its meeting chaired by Prime Minister Imran Khan. The official sources of the Ministry of Religious Affairs and Interfaith Harmony informed that the draft of Hajj policy 2019 is being finalized after consultations with all stakeholders and the official announcement was made in the last week of January. The PTI government would start accepting the hajj applications 2019 for securing a berth in Government Hajj Scheme form the general public by 20th of February. This year the government has also increased the hajj quota up to 5,000 more pilgrims and nearly 184,210 Pakistanis would perform Hajj in 2019. 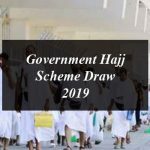 Under the government hajj scheme 107,000 people will be accommodated through government schemes and more than 76,000 people through private schemes. As per the sources the ministry has proposed open sky policy for airlines to transport pilgrims to Saudi Arabia. Furthermore for the hajj 2019 the government has also allocated the hajj quota to the new Hajj Group Organisers (HGOs). In order to prevent Hajj scam the Federal Ministry of Religious Affairs and Interfaith Harmony had already launched an SMS service to avoid frauds and scams of the from fictitious Hajj group organizing companies (HGOs). If you are a pilgrim and all set to perform holy ritual through the Hajj Group Organisers (HGO) you need to ensure the HGO’s authenticity. You need to send the first four digits of HGO’s enrollment numbers from mobile phone to 8331. You can also confirm the details of the organizer by calling at the given numbers above or you can visit the official website of Government of Pakistan, Ministry of Religious Affairs. The Ministry of Religious Affairs (MORA) has asked the general public not to deposit the hajj dues in any bank or Hajj Group Organiser (HGO) directly or indirectly before the government official declares the Hajj Policy 2019. Some of the private HOGs and banks are directly or through their agents are asking money from the people on the name of Hajj applications. receiving hajj dues before the announcement of hajj policy is illegal and liable to legal action . The announcement of the hajj policy would be made on media and also placed at website www.hajjinfo.org. Therefor the Ministry has warned people must not submit hajj applications or ink hajj agreement with any HGOs without permission of the ministry if they do so they himself will bear the consequences. 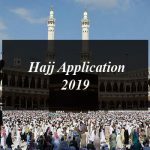 The hajj applications 2019 for securing a berth in Government Hajj Scheme form the general public will start by the last week of January and the ministry has imposed strict conditions on scheduled banks. 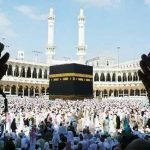 The banks will need to follow the strict rules devised by the government in receiving Hajj applications 2019 under the government hajj scheme. 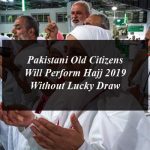 The banks should have different counters at each elected branch, besides arranging special staff for supervising the intending pilgrims in submitting Hajj applications 2019. The draw to choose the pilgrims for hajj 2019 through the government hajj scheme will be held sometime in February. 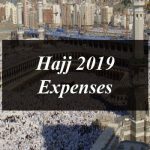 The Hajj 2019 expenses for the applicants would be kept in Sharia Complaint remunerative accounts. The expense for Hajj as compared to last year has increased by Rs100,000. Government has provided no subsidy on Hajj 2019. Without a subsidy, the pilgrimage will cost people in the Southern areas of the country Rs436,000 while people in the Northern areas will pay Rs426,000. The Ministry of Religious Affairs had recommended a subsidy of Rs45,000 per pilgrim . The Ministry of Religious Affairs has earlier announced the Hajj expenses for the pilgrims who want to go to perform Hajj in the next year. For the year 2019 the Hajj pilgrims would be divided in Pakistan in to two zones as North Zone and South Zone. The Ministry of Religious Affairs issued an order to PIA and two more airlines companies which would carry the pilgrims to Saudi Arabia. It is important to mention here that the Saudi government has removed the additional taxes two months ago that had been imposed on the Pakistanis Umrah pilgrims. The Saudi government is conducting tax of Rs.2,000 SAR from Pakistanis who were performing more than one Umrah within two years but with the efforts of PTI government Pakistanis no need to pay these additional taxes. 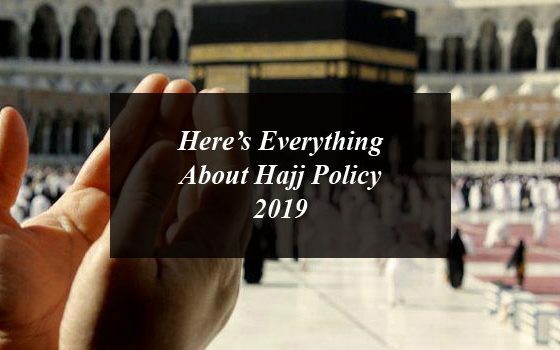 Hajj policy 2019, hajj applications, hajj expenses, required documents and much more.Here’s Everything About Hajj Policy 2019. The federal government of Pakistan is all set to announce the Hajj Policy 2019 in the second week on January.